Hear any mention of retro-styled cameras with exorbitant price tags and it's hard not to get suspicious. That kind of talk brings to mind Leica's incessant re-branding of Panasonic Lumix models, or those unicorn limited editions out of Japan that just leave us baffled. 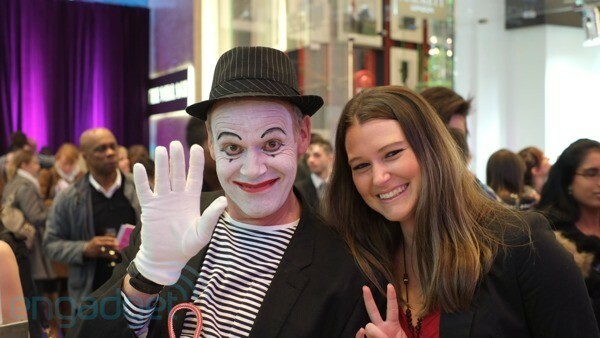 But it's okay, you can relax with the Fujifilm X-Pro1. 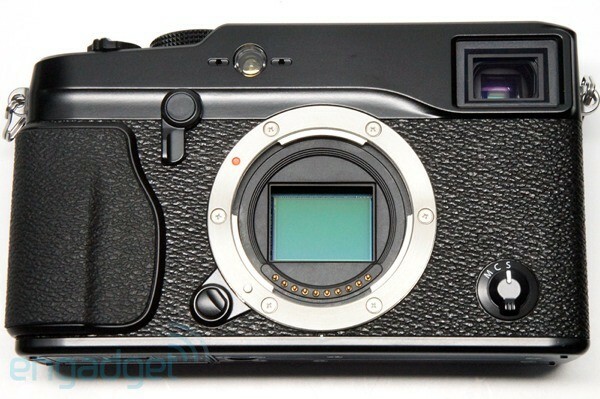 At $1,700 for the body only it's crazily expensive, sure, but not when you compare to an $8,000 Leica M9-P. Besides, it's a legitimate heir to a strong line of Fuji shooters that includes the much-loved X100 and the more accessible X10. That's a strong pedigree, and no matter how deeply you peer into its mirrorless aperture, the X-Pro1 should offer up enough technology to stop you being cynical. Like what, you ask? Well, a genuinely surprising bespoke 16-megapixel APS-C sensor, for starters, plus a hybrid viewfinder designed to keep everyone happy all of the time, and a Fuji X lens mount that already has a Leica M9 adapter available (plus others, like Nikon, if you scan eBay). It all adds up to something special, but before you go tweeting this article to whimsical rich uncles, there are also some complicating factors you ought to be aware of. Even in a utopian paradise where everyone could afford this sip of photographic luxury, it's far from certain whether everyone would choose it over other interchangeable lens cameras. Read on past the break and we'll explain why. Look past the X-Pro1's flaws, omissions and ransom demands, and you'll be heavily rewarded. How would you rate the X-Pro1? You need plenty of hands-on time with this camera before you take the plunge, and you need to be clear on what type of applications you want it for. Unboxing could be a full-on culture shock for the uninitiated. The X-Pro1 is designed to appeal to rangefinder lovers who dig over-sized control wheels along with over-sized everything. That's not everyone's tipple: we gave the camera to a seasoned photojournalist freshly returned from the Middle East who normally shoots on a Nikon D3, and she was repulsed. In her mind, it was too big to be a compact, too conspicuous, and too retro for her: "I'd be embarrassed if other photographers saw me with this." That said, it's all subjective. Yours truly also has a foreign news background, though I've generally shot video rather than stills, and I experienced no such allergic reaction. On the contrary, the X-Pro1 brought back memories of when my first employer sent me off with a celluloid Nikon F3 to "go and learn about lenses." Yes, I was surprised by the size: at 140mm (5.5 inches), the body is significantly wider than the new Olympus OM-D Micro Four Thirds camera and 20 percent wider than even the non-ILC Canon G1 X. No one could dispute that the X-Pro1 is solidly built and surprisingly lightweight for its size -- around 650 grams (1.4 pounds) with the 35mm lens attached, and easily usable with one hand. However, despite all its volume and mass, this camera is not weather-sealed, which will put some serious photographers off from the get-go. The moral of the story? You need plenty of hands-on time with this camera before you take the plunge, and you need to be clear on what type of (hopefully dry) applications you want it for. 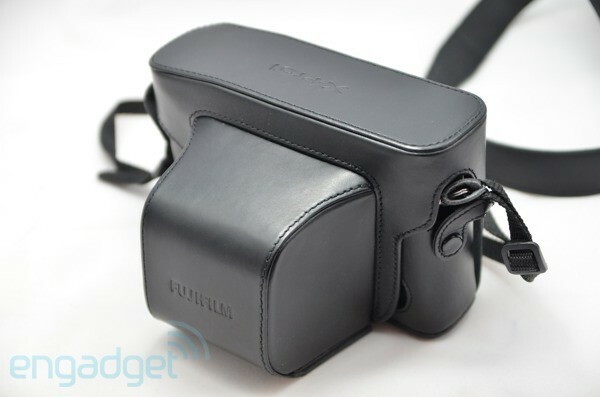 Oh, and don't feel obliged to splash extra on the LC-Xpro1 leather case if you already use a camera bag -- it isn't strictly necessary considering the natural sturdiness of the chassis, and it perhaps pushes the retro thing a tad too far. On the flip side, it'd go great with safari shorts. One of the biggest contributors to the X-Pro1's size (and no doubt its price) also happens to be one of its most useful specs: the hybrid viewfinder. One of the biggest contributors to the X-Pro1's size (and no doubt its price) also happens to be one of its most useful specs: the hybrid viewfinder, which has been carried over from the X100. It simply caters for any possible situation, by allowing you to switch between optical and electronic modes. Optical gives you the brightest and most direct view of your subject because you're looking at them straight through a piece of glass. Electronic mode, which has an 800 x 600 resolution (or 1.4 million dots), gives you the most precise preview of your final image, with framing and focus displayed before you press the shutter. Both modes can be overlaid with all the information you need, including a live histogram, spirit level and lens-matched frame guides optical mode. 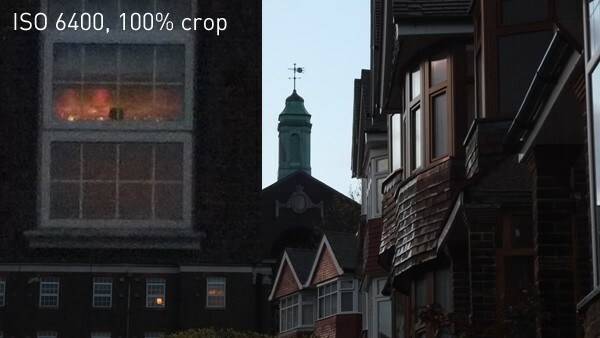 Helpfully, the OVF also changes its magnification automatically when you switch lenses, so you get a broadly more similar view to what your lens sees. Overall it's not quite as natural as a DSLR's reflex system, but it's as good as you'll get on a compact. Of course, there's also full viewing through the three-inch LCD panel, with an effective resolution of 640 x 480, which we found to be bright and clear when shooting outdoors. It's even usable in direct (albeit British) sunlight, which we guess is at least partly thanks to the RGBW configuration. Before we get to the controls, a quick word on the lenses: there's already a Leica adapter in case you just happen to have some Leica lenses lying around, and a few others out of Hong Kong, but for now the camera is natively stuck with the three prime lenses for its all-new mount. These are truly delicious: an 18mm f/2.0 lens for your wides, a 35mm f/1.4 beauty for general use and a 60mm f/2.4 for zooms, portraits and macro photography. All these lenses come with quality metal hoods. What we'd really like is a nice, fast and quiet zoom lens to go with this camera and it's all-new mount, and Fuji assures us that such a thing is in the works. Working with the currently available lenses will reduce your hit-rate if you're not already used to 'thinking' in terms of primes and planning ahead so that you have the right glass equipped for the shot you want to grab. 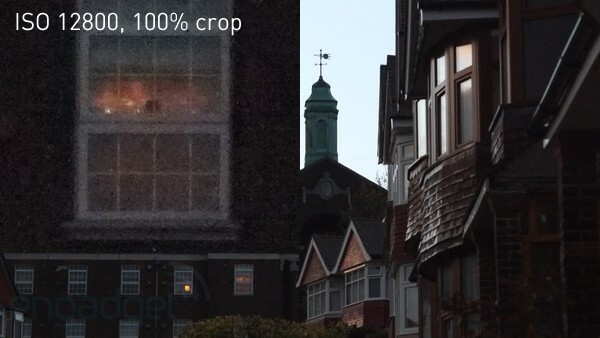 For someone who's been raised on a lazy diet of powerful zooms, this is bloody difficult, but it can hardly be blamed on the X-Pro1. Over time, the discipline required to shoot with primes can only be healthy to learn. Now, those controls: they're perfect, or at least almost perfect. There's no ISO dial, but we're beginning to realize that Engadget staff may be more concerned about that than the average photographer, because we're forced to take so many close-up shots of gadgets in low-light situations. What we get instead is three other dials that all make a ton of sense for most situations, plus the aperture ring on the lens itself. The shutter speed dial works exactly like you'd expect, except it has a slightly superfluous lock button to stop you accidentally shifting it out of Auto. To its immediate right sits the exposure compensation dial, which feels like a more natural part of the workflow as result of not being a two-stage setting like on many other compacts and DSLRs. The dial is too easy to knock accidentally, but only until you learn to be a bit careful. At the back of the camera is a mystery dial that at first seems to be useless -- especially when you make a habit of never reading the manual. But when you discover what it does, there's a genuine "Oh, right!" kind of moment. This dial works hand-in-hand with the Q button, which brings up a quick settings screen. This screen is comprehensive rather than customizable: every likely adjustment is offered; you use the direction buttons to navigate the grid and select the one you want to change; finally you twiddle the anonymous dial to choose the right setting. You don't have to accept your changes, which means that all these settings are brought within a three-step reach. Three separate actions just to change ISO or white balance might sound like a lot, but the point is that you can access them without taking your eye away from the viewfinder (because the Q screen appears as an EVF overlay as well as on the rear panel) it works a treat. 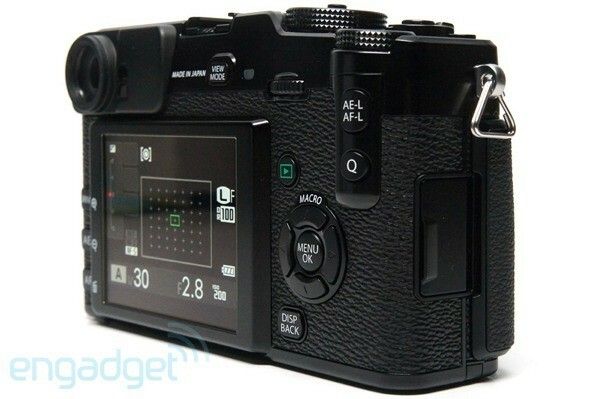 In addition to Q, there's also an assignable Fn button next to the shutter release. You can stick ISO or any other function on this button instead if you prefer, but it won't really speed things up: it's still a three-stage process to hit Fn, select ISO with the arrow keys and then hit Menu / OK to accept. Other functions will have less steps and therefore make more sense, such as depth of field preview. It needs to be said that the X-Pro1 with the prime lenses doesn't auto-focus as fast as a regular DSLR kit, especially in low light, and the focusing is noisier too. You could spend $1,000 on a Nikon D5100 and a fast lens and get better AF performance, including the ability to get macro shots without having to tell the camera first. There's something slightly icky about that thought, and it's a reminder that our skeptical photojournalist friend might have a point -- in fact, the slow autofocus was also one of her biggest criticisms. It's so bad the continuous focus mode seems almost redundant -- we couldn't use it to track anything, even the object was right in the center of the frame. 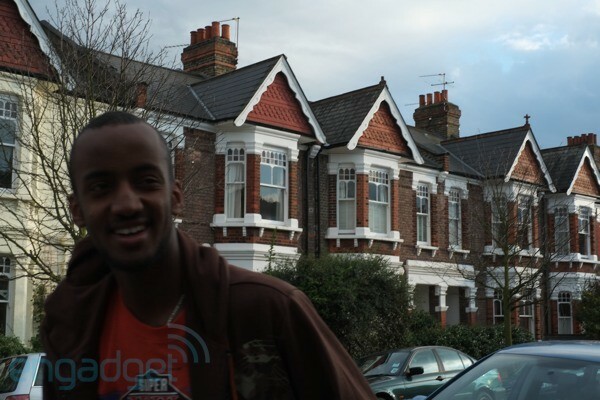 The shot above was taken with continuous focus, and neither the guy nor the houses are sharp. Shooting from a standing start was less rapid -- it took around five seconds to power up, focus through the EVF and snap a shot. Using the OVF or rear LCD reduced that to four seconds. This is all way slower than the Sony NEX-7, for example. Meanwhile, the Drive performance was great. Shooting RAW+Fine duplicates at the 6fps drive mode setting, we fired off 11 shots in 1.8 seconds before the buffer filled up, which is just under 0.2 seconds between each shot. Shooting Fine JPEGs we could keep going, achieving 37 images in the space of 11 seconds, with slightly inconsistent gaps between each shot, ranging from 0.1 to 0.4 seconds. Another positive is the battery life: we repeatedly lost track of it, for the simple reason that it lasted so long. As these words are being written, the camera has been used on five separate occasions over four days without being recharged, with 680 Fine JPEGs, 100 RAW images and four minutes of 1080p video captured. The battery still shows two out of three bars. It took another 11 minutes of 1080p to finish it off. 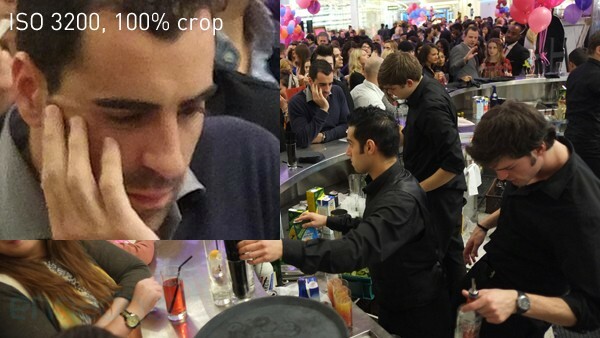 The X-Pro1 does crash occasionally -- three times for us so far. We simply loosened the battery to restart the camera, and it wasn't so annoying because we tended to be previewing images when it happened. Hopefully it's something future firmware updates will fix; Fujifilm has a decent track record in that respect. 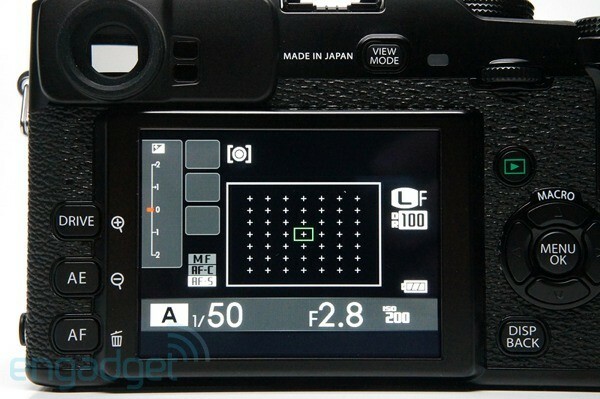 Ah yes, the magic ingredient: the X-Pro1's bespoke Fuji X-Trans CMOS sensor. It's the right size for the resolution: anything smaller than APS-C would make the 16 megapixels too crowded, while anything bigger would make focusing even harder. More importantly, though, it delivers surprising results: images you just could not predict and that you almost don't deserve. If you've ever taken a shot on celluloid, processed it and then thought "Wow, did I shoot that?" then you'll know what we're on about. If photography were an Olympic sport, this sensor would be the equivalent of nandrolone. In our hands, clumsy shots were transformed into hobby-level art. In the hands of a street-fighting pro like Steve Huff (see the More Coverage link), the results are just awesome. Why? Well, maybe it has something to do with the extra randomness in the sensor's array of red, green and blue pixel units. 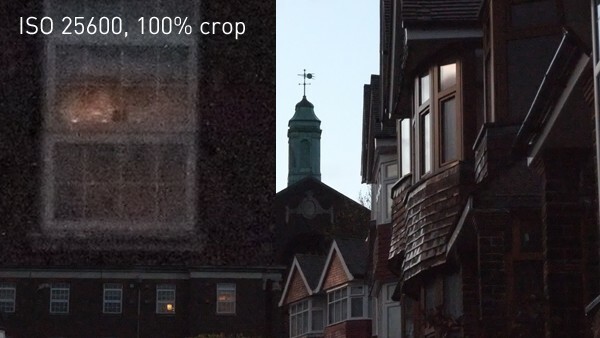 Regularly arranged color pixels can cause moire interference and false colors, which forces manufacturers to send light through an optical low-pass filter before it reaches the sensor. Like Nikon's D800E, the X-Pro1 does away with that filter, but due to the random pixel arrangement Fuji claims we should see all the benefits and none of the drawbacks of that omission. Certainly, we saw no moire patterns in our shots -- just wonderfully sharp images with incredibly stable colors that bring a sense of un-realness in the same way that celluloid used to. We didn't mess too much with the in-camera digital filters, which promise to replicate the look of different Fuji film stocks. Those kinds of things can be done in photo editing software afterwards, but nevertheless it was nice to have these options and play with them occasionally to add some subtle nostalgia. 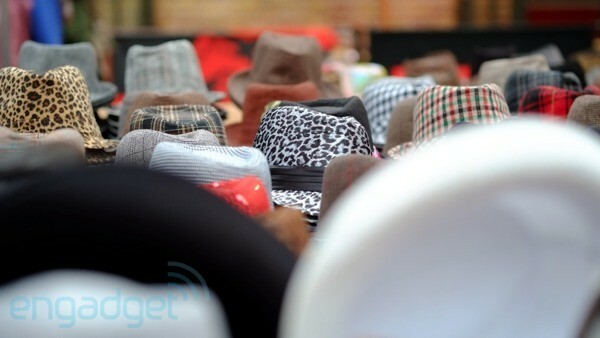 Images at high ISO settings were pretty good compared to other compacts we've reviewed, including the NEX-7 and the G1 X. Shots at ISO 3200 looked fine, and where we did spot grain at higher sensitivities it had a pleasant mottled look to it -- in keeping with the X-Pro1's analog vibes. We wouldn't reel 'em off at ISO 25600 necessarily, but there's nothing scary about 6400 or 12800. Video was less exciting. It was just typical compact camera 1080p, with handheld wobble creating all the usual rolling shutter problems, and with slow autofocus and a bit too much hunting. If tripod-mounted and set to manual focus the X-Pro1 could potentially yield decent results, but how many people will use it like that? Ultimately, Fuji has just tacked on video recording because it felt it had to, relegating it to a slot at the bottom of the drive settings menu, and we'd just as happily have gone without it. There has to come a point where you look at what a DSLR can deliver. We've got a feeling that many people who buy the Fuji X-Pro1 will do so for its particular build as well as for the output of its unusual sensor. Since both those things are subjective and hard to quantify, it makes sense to leave them aside and compare the camera against its rivals based on more concrete specs. This brings up obvious comparisons with the Micro Four Thirds Olympus OM-D E-M5, priced at $1,000 body-only, and the Sony NEX-7 at $1,200. 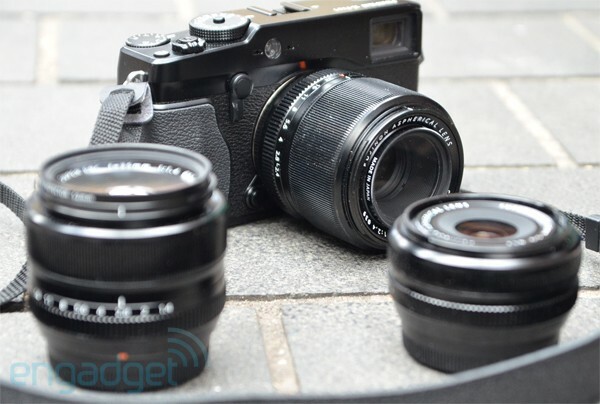 We haven't reviewed the OM-D yet, but our preview hinted at promises of much better autofocus. 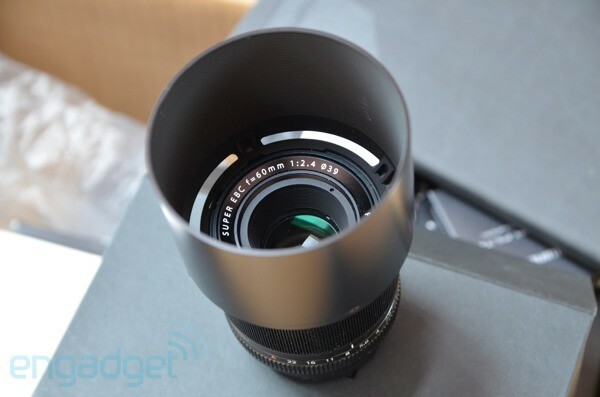 It also has five-axis image stabilization and our few test shots revealed very good high ISO performance too. The OM-D also has a faster 9fps burst mode, is drastically cheaper and overall promises to be a real challenger to the X-Pro1's perhaps more emotional virtues. On the other hand, the X-Pro 1 puts more manual controls at your fingertips, and for a lot of people that's a primary concern. The upcoming fight between these two cameras ought to be on pay-per-view. 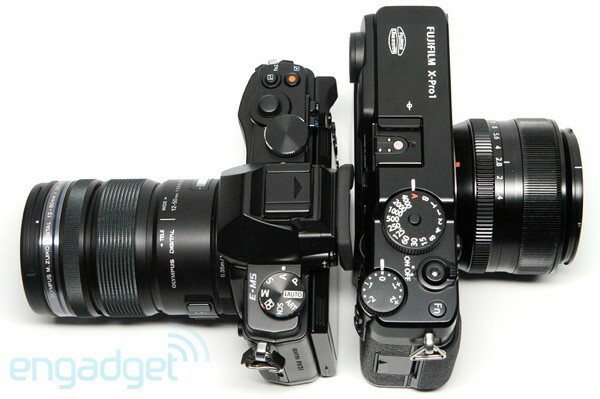 And the NEX-7? We were smitten with it, but it's already starting to lose some of its luster compared to newer competitors. It has 10fps continuous shooting, great battery life, decent high ISO performance and EVF, but none of that elevates it above either the OM-D or the X-Pro1. Its real advantage over the X-Pro1 is the $500 savings, but then the OM-D threatens in that area too. 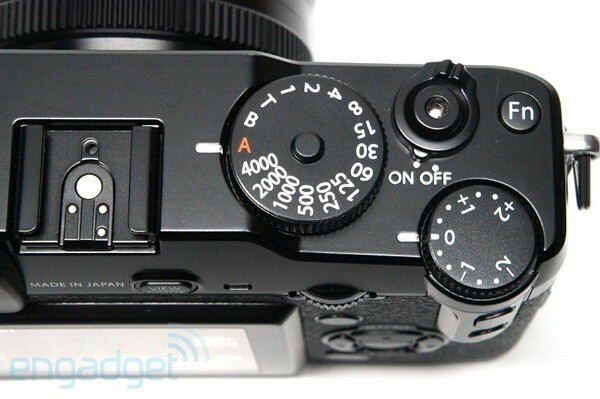 Another option is the X100, which has accumulated many steadfast fans due to its quality optics and goes for around $1,000. It has the same hybrid OVF/EVF in its favor, a much lower price (especially now), and primarily only loses out in terms of its less impressive sensor. Lastly, there has to come a point where you look at what a DSLR can deliver. $1,700 can buy you a weather-sealed Nikon D7000 or a Canon 7D with cash left over for a decent lens. These cameras will deliver superior autofocus performance, less noise and quicker burst rates. The only sacrifice is the size and weight -- so you have to find those two things seriously off-putting before you rule them out. The Fujifilm X-Pro1 is a work of art, and like any masterpiece there'll be some who hate it and others who get into heated bidding wars. If you're sensible and price-conscious, then by rights you should be waiting for the auctioneer to bring out the Olympus OM-D E-M5. Or you should be looking at the X100, or even considering a DSLR, before investing this amount of money. But if the retro form factor befits your personality, you have an abundance of cash and you care about the subtleties of the sensor's output, a powerful viewfinder and great controls, then there's every reason to buy in.